NEDA Week is February 23 - March 1 this year. 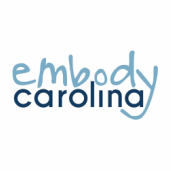 Join Embody Carolina and our many fantastic campus partners including Active Minds at Carolina, Rethink: Psychiatric Illness, UNC Campus Recreation & Carolina Dining Services as we seek to create a more aware Carolina community, and a more supportive environment for those struggling with eating disorders. 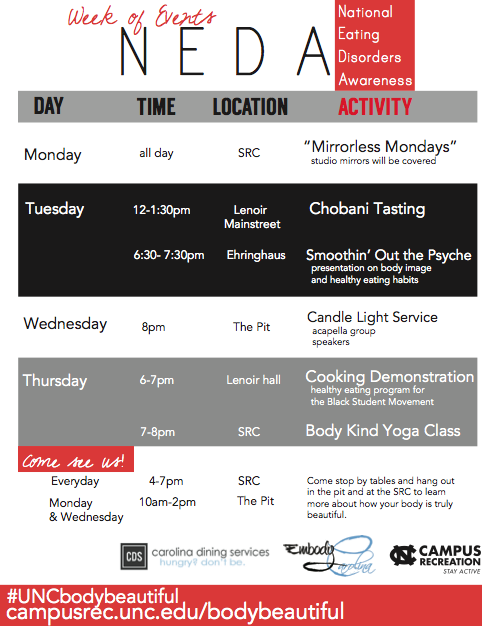 NEDA Week 2014 is filled with events to promote body love and educate about the impact of eating disorders.